The Natural Sleep Store carries a variety of natural and organic latex mattresses made with pure, chemical-free materials without synthetics. We carry all the top name brands for the largest selection of organic, rubber and natural latex mattresses online at unbeatable prices. Customizable mattress options are available. Encased in a beautiful cover, made from an organic cotton knit fabric quilted to organic wool, is nine inches of organic latex that you can customize to your desired firmness level. You can even customize the firmness level of each side! This organic mattress is made by Bella Sera Organics. Made with GOLS certified organic latex! On sale for 25% off through April 30th! 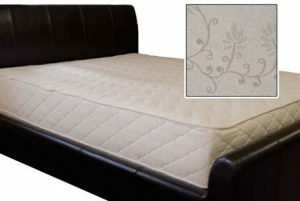 $1,350.00 – $3,291.00 Natural and organic mattress with three layers of 3 inch dunlop latex. Choose soft, medium, or firm for each layer! On sale for 25% off! Multiple layers of natural latex (11 inches) encased in organic cotton velour and wool make the most luxurious organic mattress on the market today! 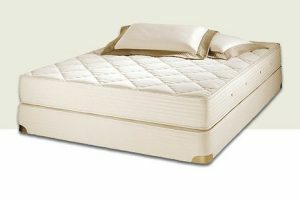 $3,679.00 – $6,579.00 Our High End, Luxury Natural Rubber Organic Mattress With Plush Pillowtop!! $2,789.00 – $4,749.00 Our High End, Luxury Natural Rubber Organic Mattress. Free from dangerous outgassing, flame retardant chemicals, and polyurethane foam, the Freefrom Simple mattress is simple in the comfort it provides. Organic cotton and natural Joma wool surround two 3 inch layers of natural latex. Each of the two layers are customizable in soft, medium or firm for personalized comfort. For added breathability and pressure relief choose soft convoluted latex as your top layer. Healthy and free from harmful chemicals and materials, this mattress is a dream come true and the ideal choice for kids or adults under 150 pounds. $900.00 – $1,700.00 Fantastic prices on a six inch natural latex mattress with a convoluted latex layer for ultimate comfort and breathability. The Suite Sleep Little Lamb Natural Rubber Mattress is made just for kids with 6 inches of firm natural dunlop latex. It is covered with American Dream Wool quilted to an organic cotton knit. It has a zippered cover so you can see what is inside. This mattress is perfect for children as it is priced economically and, although thinner than some other natural latex mattresses, it is firm to provide enough support for little backs. 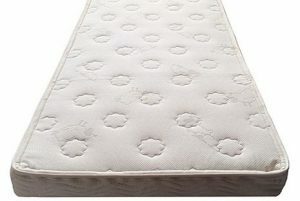 $1,199.00 – $2,199.00 Kid's mattress with six inches of natural latex covered with organic cotton and wool. Great prices! Experience customizable comfort with the organic Bella Sera Nove 3 Organic Pillowtop mattress. The base mattress has nine inches of organic latex that can be customized to your desired comfort level. If you choose softer layers for the base mattress, the separate two inch pillowtop creates an extra cushion-like feel which makes the mattress super-plush. If you choose firmer layers for the base mattress, the pillowtop provides gentle pressure point relief. The organic latex in both the Bella Sera Nove 3 mattress and separate pillowtop are surrounded by high quality covers made with certified organic knit cotton quilted to certified organic wool. Made with GOLS certified organic latex! $1,927.00 – $4,199.00 Fully customizable mattress with the added softness of a pillowtop! On sale for 25% off! The Green Sleep Ergo Concept Legacy 9 is taking comfort and customization to a new level. Nine inches of latex is encased in plush organic cotton velour quilted to breathable wool for luxury that Green Sleep is known for. The middle layer is where the action happens. The four inch layer of latex is split into three separate parts allowing the shoulders, hips and legs different customization options. 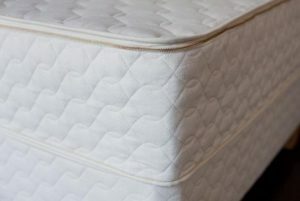 Queen and King sized mattresses divide the middle layer into six separate pieces so each side of the mattress can be customized to the sleeper’s preference. $3,299.00 – $5,529.00 The Ergo Legacy 9 mattress allows for individual customization on both the right and left side of the bed as well as the head, middle and foot sections of the bed. 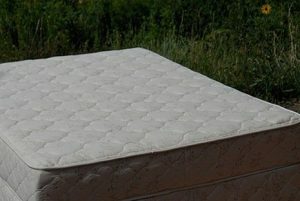 Previously called the Royal Latex Organic Quilt Top Mattress. 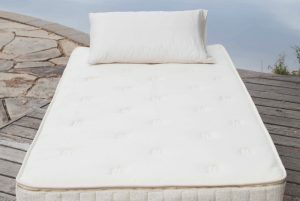 The Royal Pedic Premier Natural Latex Quilt Top Mattress features ten inches of organic latex wrapped in organic French wool and organic cotton. Made by Royal Pedic of Beverly Hills, a beautifully crafted medium to firm mattress. This mattress is part of the Royal Pedic Premier Organic line. Free upgrade to White Glove delivery! The Suite Essential by Suite Sleep natural rubber mattress has a 6 inch core of medium or firm natural dunlop rubber. The natural rubber is surrounded with quilted layers of certified organic wool from Oregon and encased in an organic cotton stretch knit fabric made in North Carolina. $1,199.00 – $3,599.00 Six inches of natural rubber for a classic firm mattress. The Suite Sleep by Suite Dreams natural rubber mattress has a 6 in core of medium or firm natural dunlop rubber and a top layer of 3″ soft natural rubber for optimum comfort. The natural rubber is surrounded with quilted layers of American Dream Wool and encased in an organic cotton stretch knit fabric made in North Carolina. $1,599.00 – $4,199.00 Nine inches of natural rubber for a healthy and comfortable mattress. $1,999.00 – $5,094.00 Our most popular organic latex mattress! Customizable with 9 inches of natural latex. 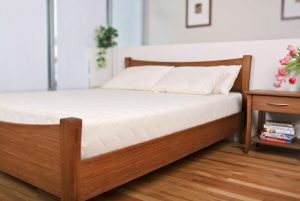 $2,499.00 – $5,994.00 Our best selling Organic Serenity, but made with natural talalay latex. 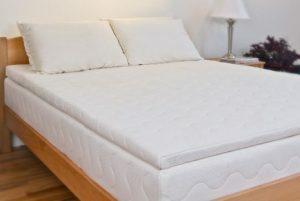 $2,799.00 – $6,294.00 Nine inches of natural latex plus 3 inches of natural latex in the pillowtop! $2,149.00 – $5,394.00 Nine inch customizable latex mattress with one layer Talalay latex and two layers Dunlop latex. $2,299.00 – $5,694.00 Nine inch customizable latex mattress with one layer Dunlop and two layers Talalay latex. A fantastic mattress made with a luxury organic knit fabric, certified organic wool, and natural latex. This is our best priced mattress and one of the nicest! You can customize your overall firmness level and choose different firmness levels for each side of the mattress. 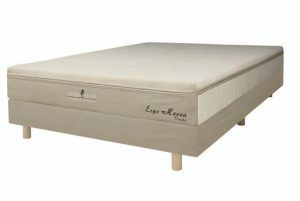 Click for more Bella Sera Organic mattress information. One of our best sellers is the natural latex mattress by Savvy Rest. This mattress is made with organic cotton, pure wool, and all natural latex (choose natural Dunlop or natural Talalay). They are reasonably priced and have a great comfort exchange policy. Additionally, if you choose a natural mattress by Savvy Rest, you can customize the firmness level of each side of a Queen and King. Click for more Savvy Rest information. 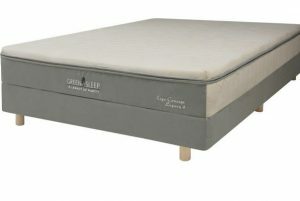 If you are looking for a luxury natural mattress, please view more information about our Green Sleep mattresses . The Green Sleep mattresses are unmatched in comfort and features. Choose from the Hevea Dolcezza and Ergo 8. You can partially customize the firmness level of each side of a Queen and King. This organic mattress is exceptionally comfortable and of the highest quality! Click for more Green Sleep information. Suite Sleep has begun a low carbon footprint program, where all of the materials possible, and the manufacturing takes place in the USA. Beautiful stretchy organic cotton fabric makes these mattresses very comfortable. These are most likely the worlds finest mattresses. The craftsmanship is unlike any other, and when combined with fine organic materials, this is truly the top of the line in mattresses. Click for more info on Royal Pedic. 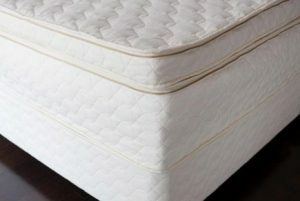 Dedicated to making mattresses “free from” all outgassing, chemical flame retardants, and polyurethane foam, what you will find in these mattresses is organic cotton, natural Joma wool, and natural latex. At a fantastic price point.